Wonderful rain overnight, more probably on its way. The pastures aren’t brown the way they’ve been the past several dry Julys, but the streams continue to fall, so I imagine the same thing is happening to the ground water from which almost all Floyd Countians get their water. We are still some 4 inches behind the “normal”–if we can still use the last 100 years to measure from anymore. 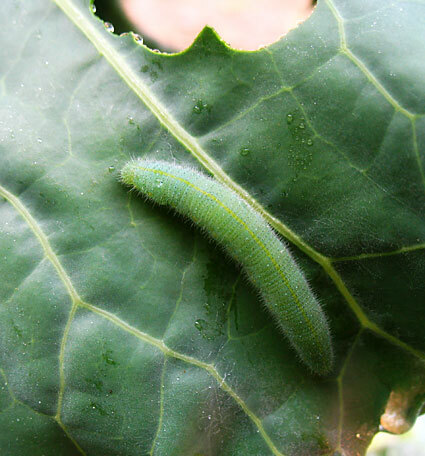 So between storms, I will go out for my morning worm picking at the broccoli patch–the large gray-green leaves holding so much moisture beaded up on their unwettable surfaces that I ought to wear a wetsuit. I’ll get drenched. I look out the window and see the fog settling down into the far end of the valley, and I’m glad we don’t live over near the parkway where the low cloud has probably settled in for the rest of the day. Awesome closeup of tiny caterpillar. What a camera! ..kinda like those pesky tomato hornworms! Nice shot of a creepy critter. So how do you think they figure that stuff out, some four inches behind “normal”. Does nature acknowledge a commitment to deliver some periodic ration for rainfall, or do we just impose it? If, as is commonly understood, “normal” really means “average”, then how can we expect to be issued, at a minimum, a “normal” amount of rainfall when that exact amount is an abstract concept and may have never ever happened in reality? I really do wonder what we mean by “normal” and this most curious construct of being “behind normal” when applied to counting drops of rain. I guess a better gauge would be along the notEnough-Enough-MoreThanEnough continuum but that makes meteorologists seem squishy and unscientific. Point is, it seems like we have Almost Enough just now. The blackberries are a pretty good yard stick, and it looks like we’ll get oodles (another soft measure of volume and mass). I love those blackberries. Glad you’re getting some rain. Fred, I’m still fighting those green guys and it’s November. They are so persistent and good at hiding. Their only redeeming qualities are not flying away right when you’re about to grab them, and not stinking when squooshed. Hopefully they’ll leave some broccoli for us.